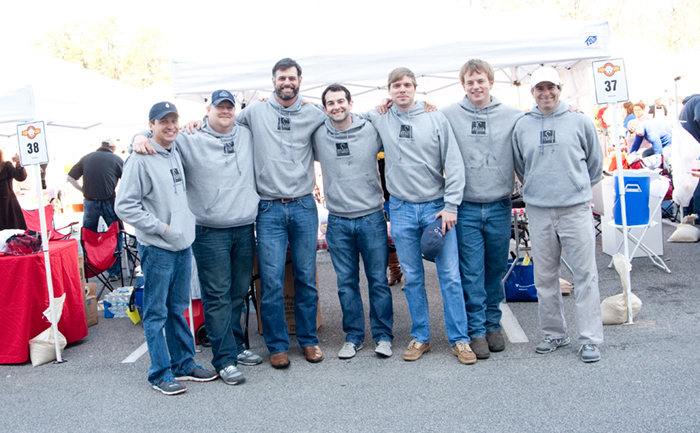 M&B Hangers participated in the 10th Annual Chili Cookoff in Birmingham, Ala., benefiting The Exceptional Foundation. Team M&B Hangers joined over 100 other teams in presenting their chili recipe to compete in this year’s Cookoff. Official judges and over 11,000 people ranked the recipes, and M&B Hangers took home an award for a Top 20 Recipe, all while helping to raise over $230,000 for The Exceptional Foundation. Mack Magnus has organized M&B Hangers’ participation in the Chili Cookoff for the last three years, and the team was excited to come together once again to support an organization that serves so many. The Exceptional Foundation was established in 1993 to serve mentally and physically challenged individuals in the Greater Birmingham, Alabama area by targeting social and recreational objectives not met by educational institutions or the community at large. Proceeds from the Chili Cook-Off and other fundraising efforts provide 3/4 of the funds needed to ensure that The Exceptional Foundation participants are able to gather daily for social activities, take field trips and compete in sports. To learn more about The Exceptional Foundation, please visit exceptionalfoundation.org. Pictured above: Mack Magnus, Brian Gray, Ronnie Payne, Sam Todd, Brandon Thurber, Chase Wilson, and John Thomas.